HMRI was established as a strategic partnership between the University of Newcastle, Hunter New England Local Health District and the Community. HMRI provides the central “hub” for research funding, strategy and infrastructure across the region. It is the key enabler for researchers, healthcare professionals, policy makers, industry and the community to work together to address health issues, locally and across the world. The structure of the HMRI Board ensures that Hunter research is governed and led by members from all three key partners. Through its physical links with Hunter New England Health and John Hunter Hospital, HMRI plays a vital role in integrating excellent clinical care and innovation with the world leading basic, translational and population health research from the University of Newcastle. HMRI brings together the perspectives of academic, laboratory and public health researchers with those of clinicians and industry. By creating an environment that supports and enables collaboration, the HMRI partnership ensures that the health needs of the community are always at the fore. Read more about the HMRI partners below. 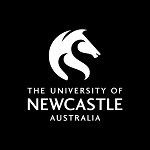 The University of Newcastle is a research intensive university and a leading contributor to research in Australia and the world. The University places in the top 300 Universities in the world, Top 10 in Australia for attracting research income, and the Top 8 in Australia for research “well above world standard.” Health and medicine one of the most significant research strengths of the University, and many of its researchers are global experts in their field. The University of Newcastle has 12 Priority Research Centres directly aligned with HMRI Research Programs. More than 1000 staff are actively working in health and medical research across multiple locations. Many work closely with Hunter New England Health, HMRI and the community, through conjoint appointments and formal collaborations and networks. By providing key resources, facilities, infrastructure and research management services, the University builds the capacity of health and medical research in the Hunter. Through its strategic partnerships with HMRI and expanding collaborations, the University of Newcastle continues to push the boundaries of innovation and discovery locally and globally. provides a range of public health services to the Hunter, New England and Lower Mid North Coast regions. It spans 25 local government areas, and provides health services to more than 870,000 people. The service is committed to ensuring genuine patient and community partnership in healthcare decisions, planning services, designing care and monitoring and evaluating health services. It has a strong focus and track record in supporting innovative, patient-focussed research, and has established a dedicated Research, Innovation and Partnerships Unit to provide advice and practical support for the translation of good ideas into improved practices. The HMRI Building is situated within HNE Health Rankin Park Campus, strategically co-located with John Hunter Hospital, NSW’s biggest teaching hospital with an excellent track record and strategy for high-level, clinically-relevant translational research. This link creates a dynamic environment for researchers and clinicians to ask important health questions and translate research discoveries into practice through clinical trials and population health studies. Hunter New England Health also encompasses Calvary Mater Newcastle, which houses and supports a vast number of clinical trials, dedicated research laboratories, as well as observational and dissemination / implementation research. The Community plays an incredibly important role in shaping the direction of Hunter health and medical research. As our patients, families, our donors, corporate supporters, industry representatives and more, the community is the key reason for undertaking and supporting the work we do. HMRI actively engages the community through events, fundraising, community engagement and education activities. We also provide facilities and opportunities for the public to engage directly with researchers, and act as the central port of call for research enquiries from the community. Strong community support and leadership is vital to enabling many aspects of health and medical research to happen in the Hunter region. The Chair of the HMRI Board is also a member of the Community, ensuring that HMRI and Hunter researchers continue to remain focused on the needs of the public, now and into the future.